Epson has unveiled a number of new projectors for the home cinema enthusiasts at IFA in Berlin this week, from the £579 all-in-one Epson EH-DM3 through to the £1000-plus high def EH-TW2900 and EH-TW3500 1080p projectors. The EH-DM3 also doubles up as the perfect party karaoke box – simply plug in a microphone! - and can play pretty much anything via its various USB, HDMI and other input slots. While it is nowhere near high-def quality, if you are looking for an affordable does-it-all projector for gaming, occasional movie viewing and party use, the EH-DM3 should fit the bill quite nicely. But if it is the full-on high def experience you are after then you will need to shell out a few ponies and monkeys over a £1000 and invest in one of Epson's new TW2900 or TW3500 projectors, which offer 18,000:1 and 36,000:1 contrast ratios, respectively, and feature 3LCD technology, 10bit processing and 22dB projection at 1600 lumens. "The projectors produce an incredible picture quality when used together with the latest generation of HD gaming consoles or a Blu-ray player and produce images that are clear and bright even in daylight," promises Epson. "Compact, contemporary designs, together with excellent value for money, ensure that both projectors are fantastic additions to any living space." Finally, at the top end, Epson's two flagship models at this year's IFA were the £4000 TW5500 and £3000 TW4400 models, with the first model promising an impressive 200,000:1 contrast ratio and 12bit video processing, at 1600 lumens. 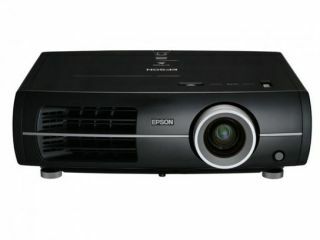 Epson's new EH-TW2900 and EH-TW3500 projectors will be available from October 2009. You can also check out TechRadar's top favourite gaming projectors for those on a budget.